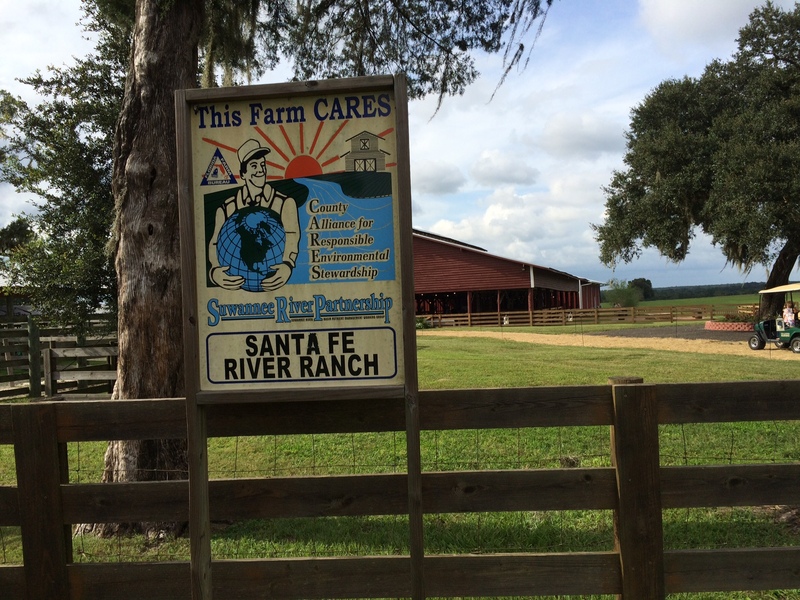 Among Farm Bureaus in Florida, Alachua County Farm Bureau may boast the most picturesque venue for its annual meeting. For the second year running, Santa Fe River Ranch hosted the annual meeting, which brought together upwards of 500 members to enjoy a barbecue dinner prepared by the estimable Hills Barbecue while being entertained by a talented local duo . . . all in a countrified, yet elegant setting that has become a favorite of local families for weddings and family reunions. Read more about the annual meeting here. Attendance approached 500 members — on the high side for such a meeting but stemming from the fact that ACFB has the largest membership among county Farm Bureaus in the state of Florida. The event provided attendees with an opportunity to get vaccinated for flu and pneumonia, with specialists from Walgreens setting up to administer shots on-the-spot to members with insurance cards. Event sponsors Gatorland Kubota and Scoggins Chevrolet brought vehicles for inspection and Alachua Farm and Lumber’s exhibit was popular with members. 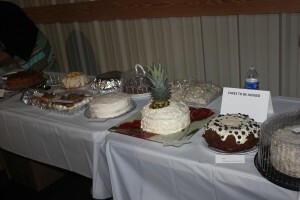 One event that continues to grow in popularity, much to the delight of the diners, follows an old Farm Bureau annual meeting tradition: the Dessert Contest. 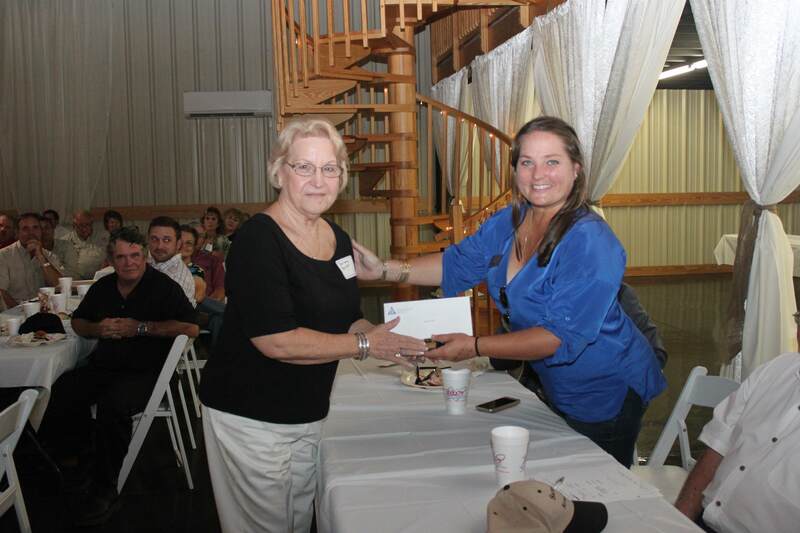 Judges hastened to perform the difficult, if delicious, task of selecting three winners from the dozens of attractive cakes, pies, puddings and other delicacies provided by Farm Bureau members. At that point, the tables were turned over to the members, who sampled with thoroughness and enthusiasm. Three winners were presented with checks and trophies. 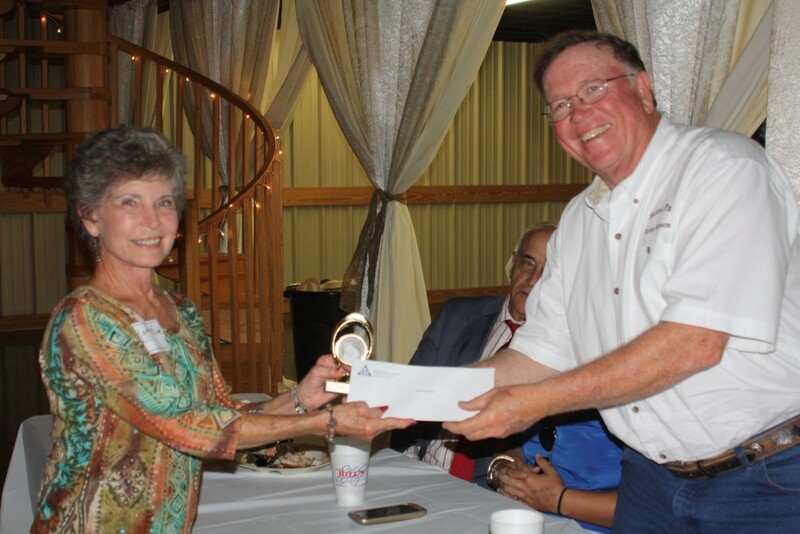 Martha Sue Hill accepts a check and trophy for her outstanding dessert from Alan Hitchcock, ACFB treasurer and proprietor of Santa Fe River Ranch. 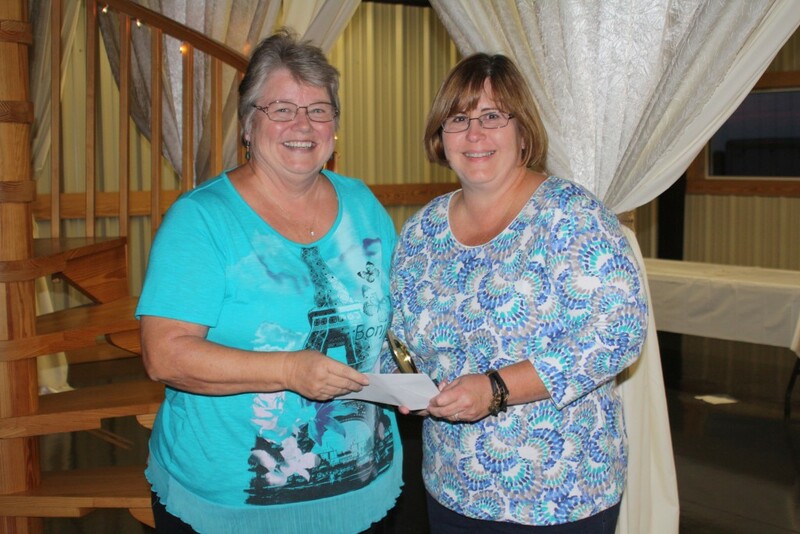 Barbara Bryan, left, receives her award and trophy for her delicious, award-winning dessert from Brittany Lee, ACFB Board Member. Robin Odom, right, accepts her award and trophy for her category in the Dessert Contest.